FREE Energy Healing Tools for You! As part of your FREE Energy Healing Tools, this absolutly amazing course is yours no obligation. Included in the course you will find detailed explanations covering the various modalities involved in the art of Energy Healing, covering topics like Reiki, Crystals, Auras and much more. As a further bonus there are discount vouchers exceeding $50.00, as if that's not enough you will also find your access code to our healing library which is chock full of the most amazing material. Just scroll down to see what will be yours. Click HERE Now and all of this will be yours right now! Stop! Upgrade your "Healers Toolkit" NOW! YES as it says above they are FREE... no strings attached. As a matter of fact, not only do I personally create invaluable Energy Healing Tools and Resources, I also make available to you any third party tools and resources that I find informative. I endeavour to do so on an ongoing basis and of course do so as fast as I can. By far the best site to get something for nothing. 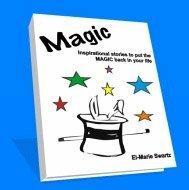 Magic - Inspirational Stories to put the Magic Back in Your Life. Zig Ziglar once said: "People often say that motivation doesn't last. Well, neither does bathing - that's why we recommend it daily." And I am going to forget about yesterday . . . and many more such stories. This GIFT is a beautiful selection of healing and inspirational quotes from some of the greatest teachers of our time. Really wonderful stuff! This magnificent collection of some of my favorite quotes remind you on your unique Healing Journey of the abundant beauty and love on our planet. It is all around, to aid you to remain in an "Attitude of Gratitude" ensuring you RECEIVE the ABUNDANCE that is so rightfully yours. Quotes are great energy healing tools in their own right as they assist you in changing negative thought into positive thoughts. Hypnosis is one of the energy healing tools that can be used to great advantage. 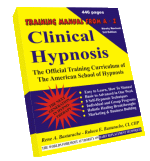 This 450 page Clinical Hypnosis Training Manual is a free gift from Rene A. Bastarache, CI, Author & Founder, American School of Hypnosis. Firstly he wants to “raise the bar” in the general knowledge of hypnosis throughout the world. Secondly he wants to "set straight" the countless misconceptions around hypnosis. 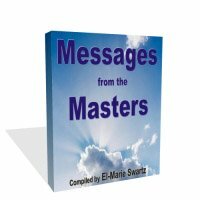 Thirdly this manual will give you a working knowledge of how the mind operates and show you how you can use hypnosis as a positive tool to improve virtually “any” area of life. And lastly but not least it's his way showing you what's on offer at the American School of Hypnosis. He suggests that you take some time to study it and even try some of the techniques on your friends and family, especially the suggestibility tests. If you decide you like what you see and would like to attend any of their certification trainings, please feel free to call: (207) 590-5859 to reserve your seat. 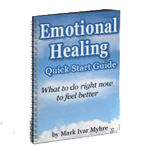 The following FREE E-Book will give you a comprehensive understanding of what emotions are and a quick start to healing your emotions. Use all the energy healing tools discussed in this book for a favorable outcome. Everyone knows of emotions, but what are emotions? The common description is that it is the feelings you have at a certain moment in time. Given how much effect and influence emotions have on human beings, surely we know that emotions are more than just fleeting feelings. Emotions can be so strong and intense that it drives people to do crazy things, be it good or bad. Things like arguments, fights, hurting others, even killing and suicide. People are driven by emotions to do all these things. So I would assume that most people feel that they should understand more about what are emotions. I began thinking about emotions while studying evolutionary theory at Harvard University. Learning that adaptations do not evolve unless they help survival, I reasoned that each emotion must have a purpose that helped survival. If I could identify an emotion's trigger, I could also identify its purpose. Applying that thought to each emotion, I wrote The Origin of Emotions. 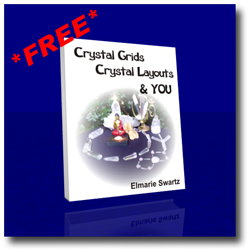 Get Your FREE Crystal Grid & Layout Book Today! Not only is building a Crystal Grid a lot of fun but it is also a powerful and effective way to power up and turbo charge your intentions. You can also go to my page Crystal Healing eBoooks where you can choose from titles such as "Crystal Care", "Crystal Guide", Using Crystals", "Crystal Healing", "Crystal Grids" and "Gem Elixirs". Crystals are powerful and amazing energy healing tools. We have also created a selection of stunning "A4" Wall Charts for you to print out, mount and place in your Healing Room. The correct Hand Positions for a Reiki Hands-on Healing Session. The Hand Positions for a Reiki Self-Healing Session. The 4 Usui Reiki Symbols- CKR, SHK, HSZSN and DKM. All this can be yours for FREE!? Claim your energy healing tools NOW! A Chart of the 7 Major Chakras with their location and color. A Quick Reference Guide to the different colors and their respective healing properties. Take advantage now! Claim your charts! Your name is like your car or home with it's own unique style, color, personality and numbers assigned to it. What's YOUR numerology personality? Numerology examines numbers, their extraordinary effects on your life and the associated energy vibrations, along with the interpretation of such information to provide insight and guidance. Check it out yourself! Have fun, find out for FREE and see! 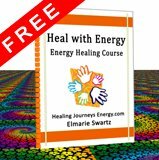 Energy Healing Tools - Free eCourse just for You! 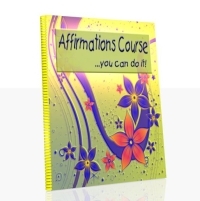 Affirmations FREE E-Course - Sign Up Now! I am sure you've come across people who are very satisfied after they practiced and implemented affirmations as energy healing tools. Many have also said it doesn't work. You also may have the intention to use them but are unable to or could not unlock the secret of how to go about it. Let me help you with that. This 9 PART Course has been compiled with the intention that you should use it for self-healing only and is by no means intended as a training course. PART 1 - What is an Affirmation? PART 2 - How do Affirmations work? Enjoy these GIFTS . . . and many more! They are yours for FREE! They were created for you with love. P.S: Download this centering exercise right NOW! A quick and easy "Centering Exercise" that you can use at any time to ground and centre yourself. It also works well if you it before using any of your energy healing tools. CLAIM YOUR FREE ENERGY HEALING TOOLS NOW! 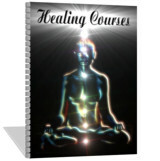 Exclusive Access to a whole lot of Free Healing Tools/Books and More... Subscribe Now! FREE Gifts and WOW - Words of Wisdom. 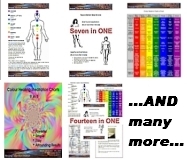 These Self Improvement Training Energy Healing Courses and Energy Healing Charts have been created as must have for anyone wishing to go on the journey of Energy Healing.